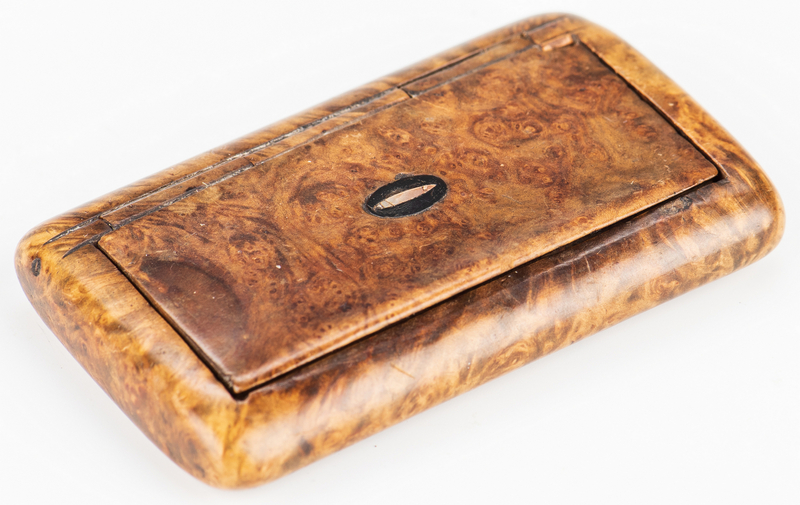 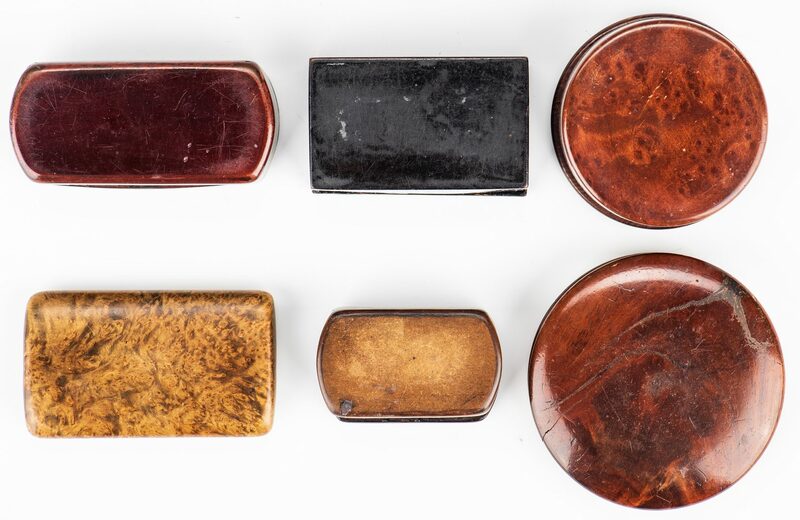 Collection of 6 Burlwood snuff or tobacco boxes. 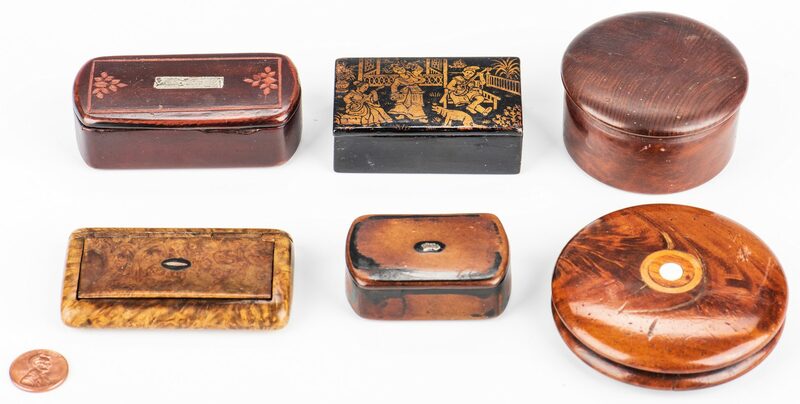 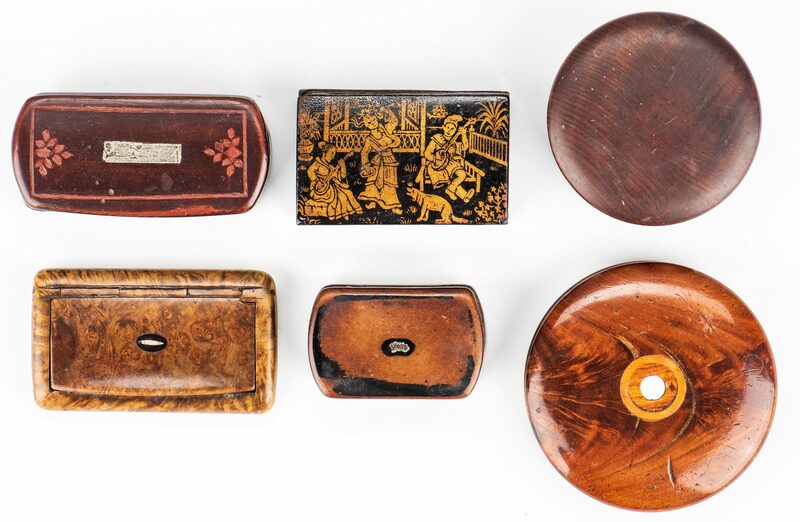 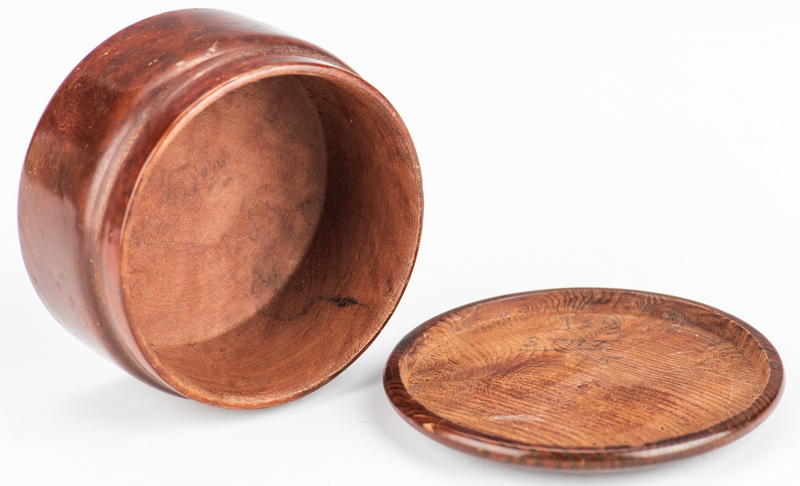 Includes two burlwood boxes (one round, one rectangular), both with inlaid mother of inlaid pearl center; two rectangular boxes with painted centers (one is wood with carved border, the other is early and made of leather with painted border); 1 plain round burlwood box; and 1 Chinoiserie lacquer box (marked Made in Germany on interior). 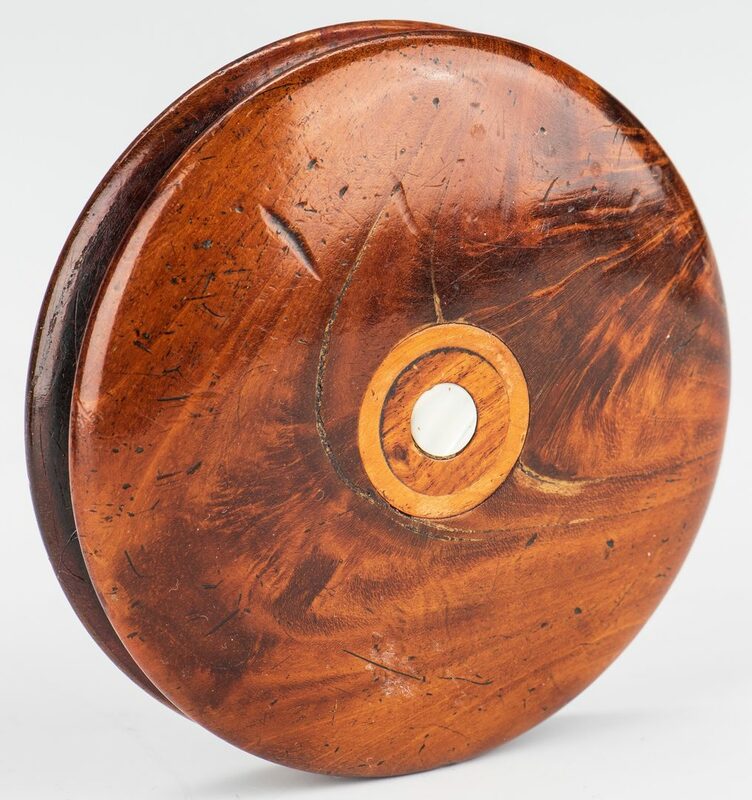 Largest 3" diameter. 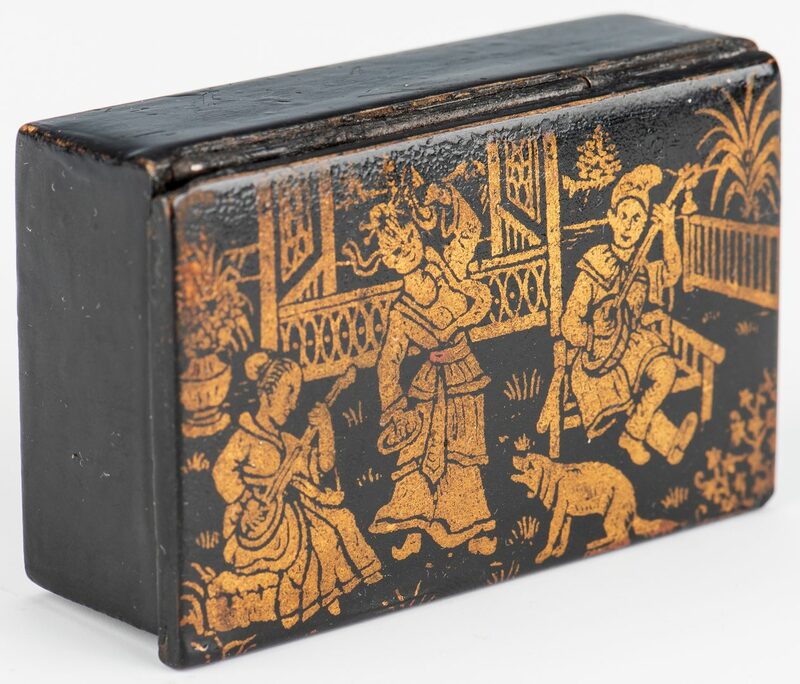 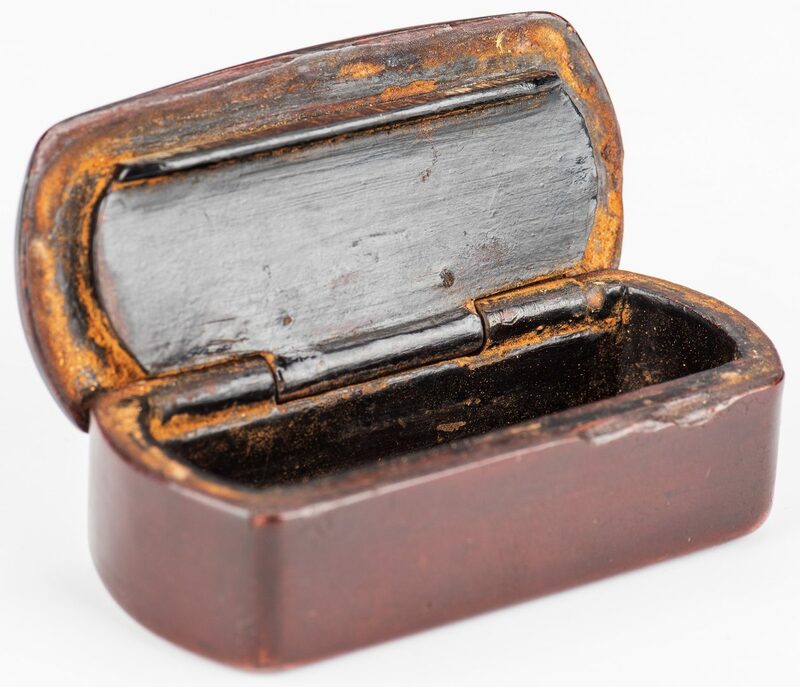 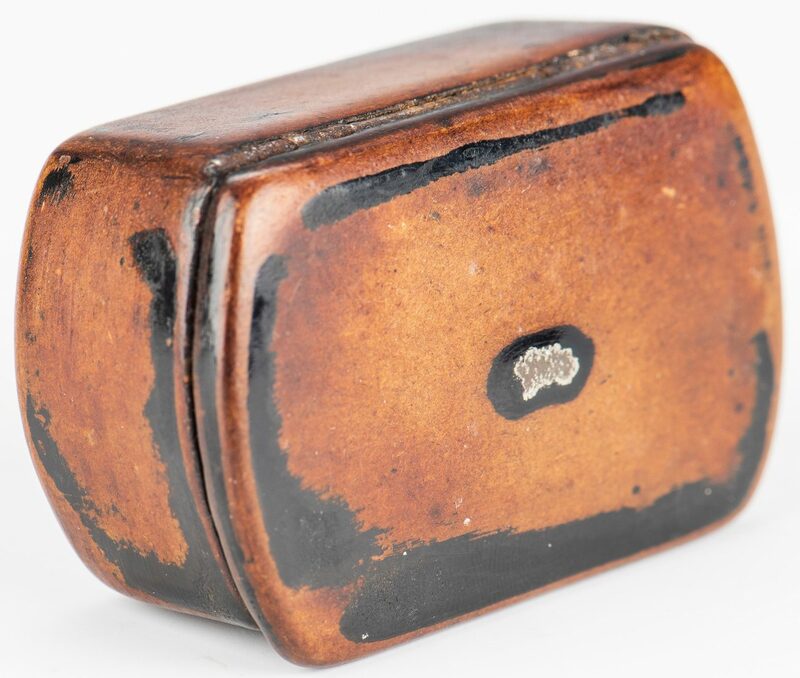 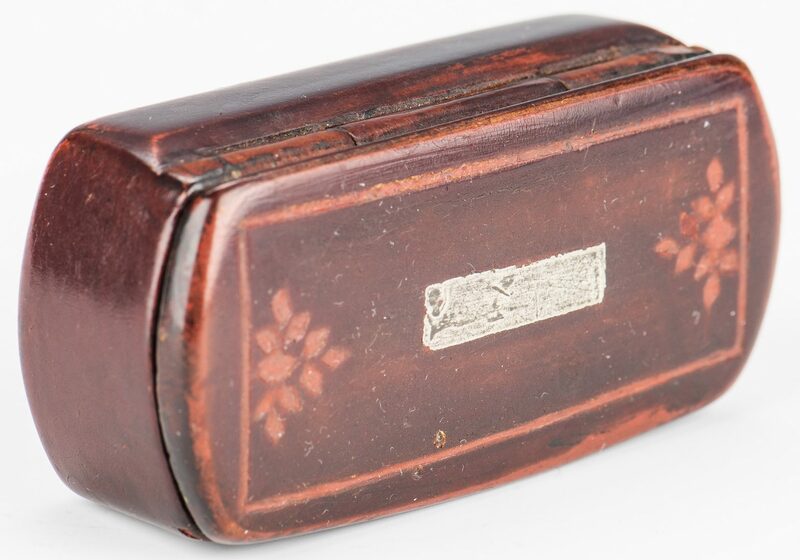 Most date from the late 18th to mid 19th century (German lacquer box is 20th century). 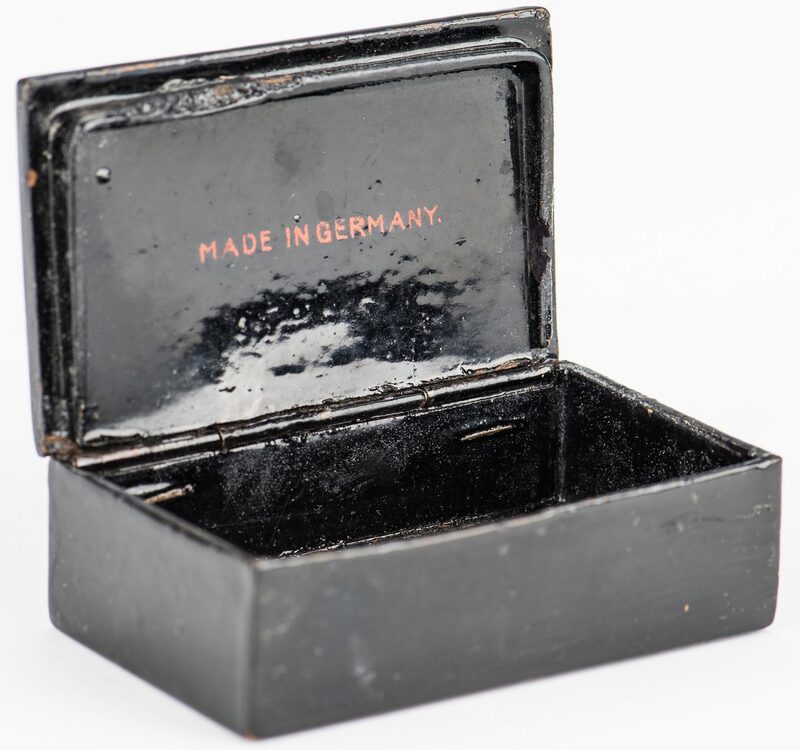 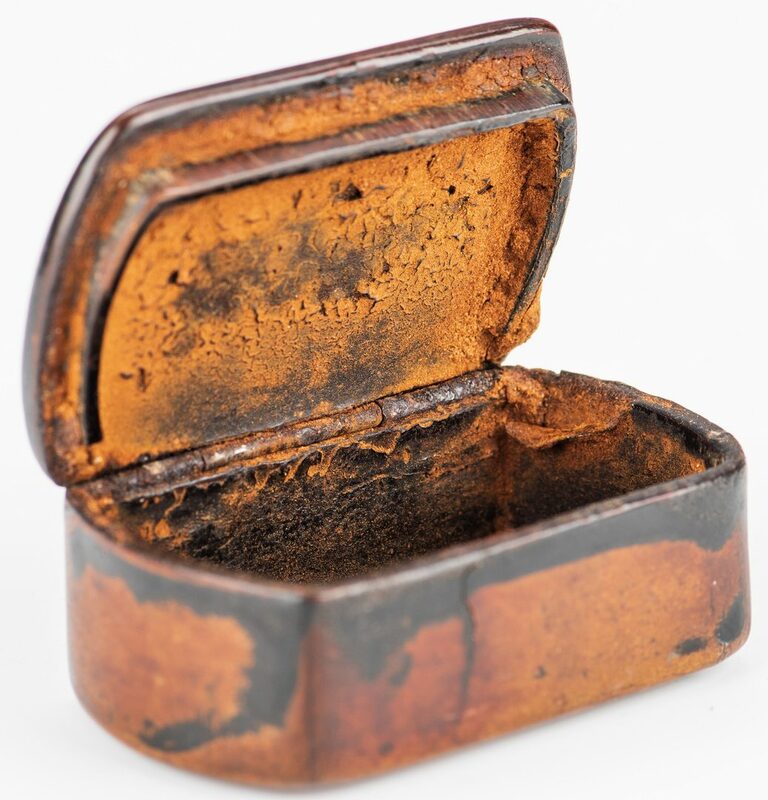 CONDITION: General wear, particularly to leather box.